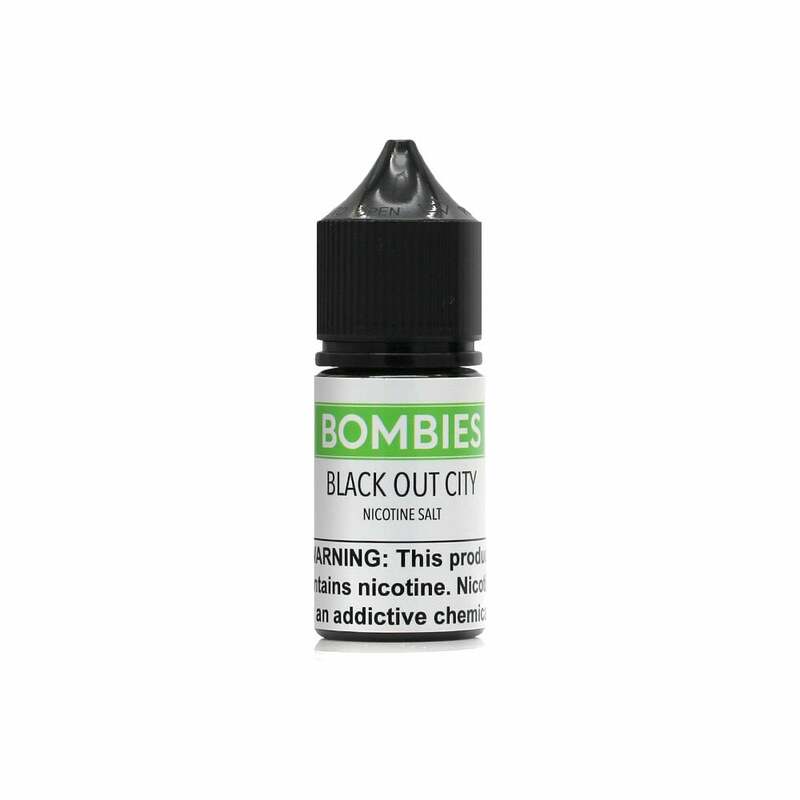 Black Out City Salts is a sweet, sophisticated and utterly unique vape juice from Bombies. The inimitable taste of blueberry is blended with zesty limoncello and topped off with a touch of menthol for an icy exhale; if you're looking for a one-of-a-kind juice that provides incredible flavor and total refreshment, try out Bombies Black Out City today! The bottle size was huge, way bigger than i expected. The flavor is amazing. More so if you like blueberries. Not really getting the limoncello flavor but overall the juice is great! My first Bombies liquid. I'm certainly not unimpressed, and I think this liquid comes down to personal preference. If you like a chilled mint mixed with lemon, this is probably the vape for you. The flavor is spot on but I feel like the "ice" is a bit overpowering. That being said I am not much for icy or menthol flavors typically. If these are flavors you enjoy personally, I would give this one a try. A bit harsh, tastes a little bit like blueberry lip balm. Definitely going to buy this juice again. My new favorite flavor. Flavor is an easy 10/10. Definitely worth the price if you don't want to keep spending money on a new pack of pods every time. It will last you for a while. Absolutely mind blowing flavor. If you like lemons, mint, blueberry and an icy cool feeling after a smoke, this is your friend. Really smooth, great tasting stuff. Very satisfying vape! !